The Deep Blue Organ Trio and the Music of Stevie Wonder on "Wonderful"
Having grown up in New Jersey in the sixties and seventies, there was always a slightly seedy lounge or dim lit bar where despite the over whelming smell of stale beer hanging dead in the smoke filled air, a young guy with a slightly altered id could go have a beer and hear the sweet sound of a magnificent Hammond B3 organ playing a mix of jazz, soul and the blues. Often times it was a trio, usually with guitar, drums and of course that Hammond B3 with those whirling Leslie speaker towers that was the real draw. The format had its masters, Jimmy Smith, Jimmy McGriff, Charles Earland, Brother Jack McDuff, Richard "Groove" Holmes and even a lady or two, Shirley Scott and Trudy Pitts to name a few. So perhaps I am a little predisposed to being pleasantly swept back to those days and the fond memories they evoke whenever I hear an good organ trio.By any standards the Deep Blue Organ Trio out of Chicago is certainly a very good organ trio. Combine the artistry of Stevie Wonder's music with talented musicians who grew up with its pervasive influence, playing it with feeling and true appreciation and you have a joyous musical experience. 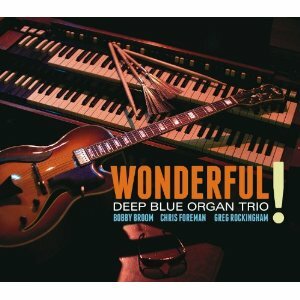 The Blue Organ Trio is made up of guitarist Bobby Broom, drummer Greg Rockingham and the organ master Chris Foreman on the Hammond B3. In their able hands, Stevie's instantly recognizable music takes on a cooler, hipper, more soulful sound. From the opening sounds of Foreman's funky organ on "Tell Me Something Good", you find yourself grooving to the tunes. Broom's supple guitar lines are delightfully bluesy while retaining warm fluidity that is from the Kenny Burrell tradition. The trio saunters through "If You Really Love Me" with Broom taking an exceptionally tasty solo. It is on "Jesus Children of America" that the trio really cooks, with the ghost of Jimmy Smith sitting in the wings, Foreman knows how to extract the myriad of emotions that can come out of his B3. The trio has wonderful interplay with Broom's deft comping and Rockingham sitting firmly in the pocket throughout. If this one doesn't make you tap your feet check your pulse. "My Cherie Amour" is played in a slow, romantic way that evokes visions of slow dancing in low lit high school auditoriums back in the days. One of my favorite Wonder songs "Golden Lady" is given a modern treatment with a rolling drum and splashing cymbal line by Rockingham and Broom's smooth octave playing in front of Foreman's sustained, gospel influenced B3 sound. These guys pare down the often highly produced Wonder songs from classic albums like his "Innervisions" to their essential, memorable melodies and in doing so we rediscover their beauty and brilliance. Foreman gracefully ekes out the soul and groove of his B3 with none of the pyro-techniques that are used by many of the more fusion oriented players on the instrument . You can't help yourself but feeling the groove that this tight trio spin on song's like "You Haven't Got Nothing" and the beautiful rendition of "It Ain't No Use". The cd ends with a blues drenched "As" and Broom's warm toned guitar on " You've Got It Bad Girl".
" Wonderful", the music of Stevie Wonder just that. The musician/poet/troubadour Gil Scott-Heron, who in the early seventies was influential to scores of people who heard his cool brand of hip music and absorbed the pithy observational wit of his lyrics, was being rediscovered recently when he released a new album "I'm New Here" in February of 2010. His rediscovery was crushingly cut short when Mr. Scott-Heron unexpectedly died in May of this year at the age of 62. I was strongly influenced by the messages that Mr. Scott-Heron offered in his raspy, baritone voice that spoke with an inner wisdom that was somehow lost to many around him. His music shared a jazz and blues sensibility that I was prone to like to be sure, but it was his lyrics that were poignant and unforgettable. He spoke of things that others would only think and he did so in a beguiling manner that transcended time. I was not alone in my admiration. Producer Mark Ruffin, who is the program director of the Sirius/Xm Satellite channel Real Jazz, as well as a jazz journalist himself, was similarly struck by the music and lyrics of Mr. Scott Heron. Ruffin envisioned an album of the poet's music as a homage to the man whose later years were filled with drug related hardships and conflicts. Mr. Ruffin controversially chose the jazz baritone Giacomo Gates for the project and was anxiously waiting to present the finalized version to Scott -Heron when the singer suddenly died.If anyone had trepidations about Ruffin's choice for this project, Mr.Gates grasp of the music and his performance here has certainly put all doubts to rest. 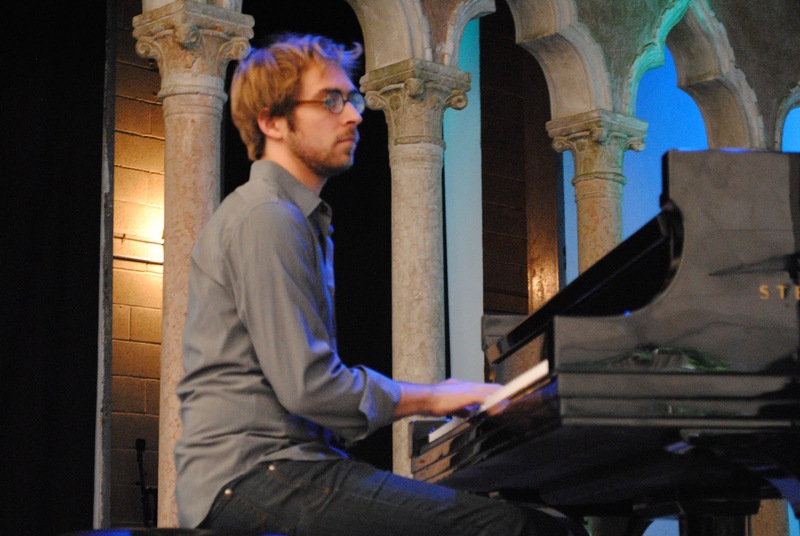 Giacomo Gates is an authentic jazz vocalist and student of the jazz tradition. He has studied the works of the vocalists like Jon Hendricks and Eddie Jefferson and has absorbed and broadened some of their techniques including scatting, vocalese and mimicking instruments with his voice. Gates has a smoky, slightly gravelly baritone voice and he has an unerring sense of swing. He is a master storyteller, often choosing music that offers some comic relief . It is precisely Mr. Gates storytelling ability that makes him so well suited to the music of Mr. Scott-Heron. Gates wisely chose from Mr. Scott-Heron's repertoire those songs that tell a story, songs that spoke to him. The opening number is a swinging case in point, "Show Business" certainly speaks to Mr. Gates. He has been plying his trade for some time and knows the sentiments of the song that Scott-Heron sardonically wrote about..."show business.... got you hanging out in places you got no business" . The song cooks with pianist John Di Martino tinkling his keys in deft accompaniment and guitarist Tony Lombardozzi offering a tasty solo. 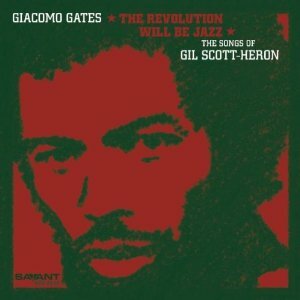 Gil Scott- Heron's hopeful "This is a Prayer for Everybody to be Free" is sung by Gates in a sauntering, heartfelt and earnest way. Claire Daly's baritone sax solo is deep and raspy and compliments Mr. Gates scatting brilliantly. Mr. Gates vocal interpretation of "Lady Day and John Coltrane" steals the show. 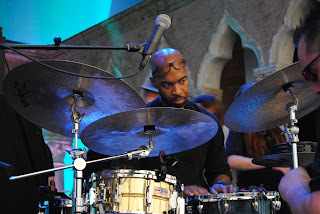 Lonnie Plaxico's plangent bass lines carry the tune beautifully as drummer Vincent Ector holds the rhythm down.Mr. Gates is at top form here as he seems in his element with the inherent flow of this song. Pianist Di Martino intersperses Latin influenced rhythms in his fluid solo.The coda finds Mr. Gates quietly whispering the last of the lyrics. Another inspired performance is "Legend In His Own Mind". Gates is superlative when he has a story to tell and what better lyrics to work than lines like "...he has more romances than Beverly has Hills." Gates loves to embellish on the story line as he does on this one and the group simply gets off on grooving behind him. This group of veteran players offers top notch accompaniment throughout as Mr. Gates ends the song in a beautifully expressive rising coda. Seemingly plucked from the scripts of the series Mad Men, "Madison Avenue" is one of those stealthy Scott-Heron songs that lamented about the way American business manipulates people to consume through clever advertisements. With lines like they can "...they can sell tuna to the Chicken of the Sea." its not hard to see why Gates chose this one. His soulful baritone takes this bluesy rendition to the limit with his hip insider take on the sentiment as the band pushes the song nicely. With Tony Lombardozzi starting the song with a funky guitar line that could have been a lead in for James Brown, Gates relishes the lyrics of Scott-Heron's "Gun". He paces the song beautifully letting the funk seep into the pours of the song while still maintaining his cool delivery of the potent lyrics. You can feel the band having fun with the infectious funky groove. One my favorite Gil Scott-Heron song's is his great "Winter in America" . Perhaps because the original is so close to my heart I can't bear to hear it played anyway but the way its seared into my consciousness. Gates chooses to slow the song to a crawl which I find a little unsettling.Claire Daly adds some nice flute to the mix. Lonnie Plaxico's walking bass line leads us into "Is That Jazz", a song that is tailor made for Mr. Gates sensibilities as he swings with ease and does his most adventurous foray into vocalese on the album.Gates loves to speak of his jazz heroes. He has been influenced, by his own admission, by horn players like Dexter Gordon, Lou Donaldson and Lester Young, When he uses his voice as an instrument it is clear he has a horn player's mindset. Lombardozzi's guitar accompaniment is especially tasteful as is his solo work. "New York City" was Scott-Heron's slightly sarcastic homage from someone who loved it the city warts and all. Gates sings it like he too loves the Big Apple. He makes it into a slow love ballad that breaks occasionally into a more frenetic section that is symbolic of the City's own schizophrenic nature. "NYC I don't know why I love you, but its real." On the finale, the uplifting "It's Your World" , Mr. Gates sings with his own sense of promise and sincerity..
"The Revolution Will Be Jazz" is certainly a noble homage to Mr. Scott-Heron and his work. Mr. Ruffin should be proud of the results. With this album Mr. Gates has successfully ventured into new ground. Taking a step back from the classic American songbook that has been his staple and expanding his repertoire-in essence creating a statement of what is to be included in the new American songbook. I for one agree with his choices. Musicians: Giacomo Gates, vocals; John Di Martino, piano; Tony Lombardozzi, guitar; Lonnie Plaxico, bass; Vincent Ector, drums; Claire Daly, baritone saxophone and flute. Just a stone's throw form the streaming hustle of the North-South corridor known as Interstate 684, off exit 6 in the hamlet of Katonah, New York, lies the beautiful Rosen Estate, home of the Caramoor, a music and performing arts center. 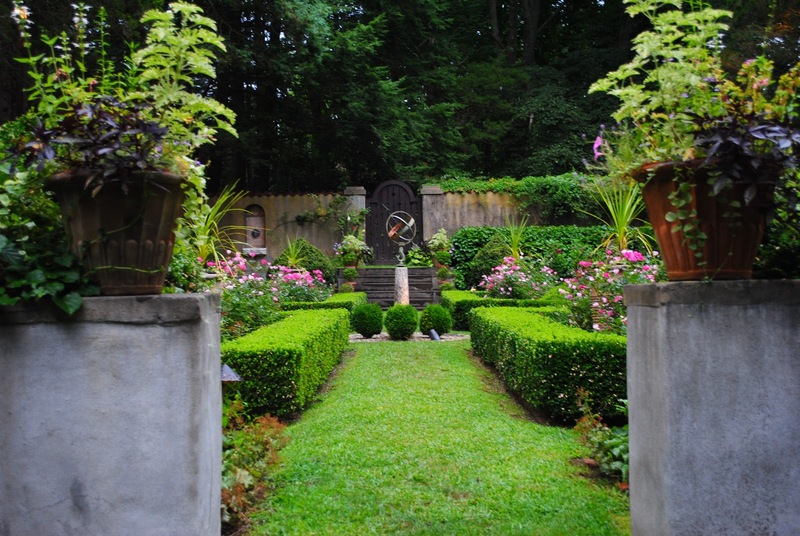 Caramoor was so named after a previous owner Caroline Moore Hoyt. But it was Walter and Lucie Rosen, who because of their love of music, became patrons of the musical arts and fostered performances in this most conducive of settings. They appointed this gorgeous bucolic 90 acre estate for the expressed purpose of enjoying music. In 1958 the Rosen's opened the Venetian theater, a tented 1600 seat outdoor stage, to the public. Each season the venue presents some of the most exciting and culturally diverse musical performances offered anywhere. Part of the charm of this magical place is the manicured Italianate gardens, a stroll through which transforms you to another place, with its bursting flora and manicured walkways. The overall atmosphere is sublime. 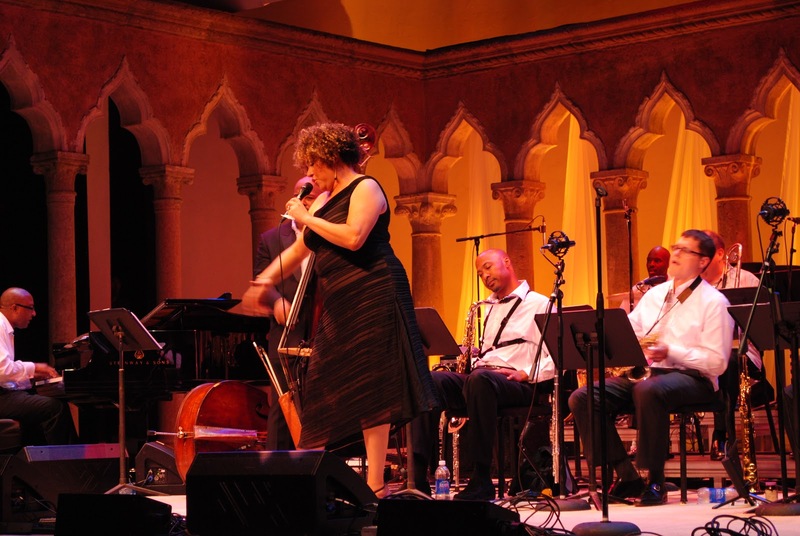 While Caramoor is known for its International series of music performances, featuring some of the world's greatest artist in the field of classical music, the weekend of August 5th through 7th was dedicated to jazz. Despite competing jazz festivals at both Litchfield and Newport occurring on the same weekend, one couldn't ask for a more exciting and contemporary selection of musical performers to choose from. Friday night featured the vibrant, Canadian born pianist Renee (pronounced Ree Nee) Rosnes in the Spanish Courtyard with her own seasoned quartet of Steve Nelson on vibes, Victor Lewis on drums and Peter Washington on bass. Rosnes has played with a myriad of veteran players including trombonist J.J. Johnson, vibes master Bobby Hutcherson, Joe Henderson and Wayne Shorter to name a few. I was fortunate enough to attend the Saturday night show which featured an eclectic group of performers. Producer Jim Luce should be applauded for bringing together a gumbo of musical tastes. 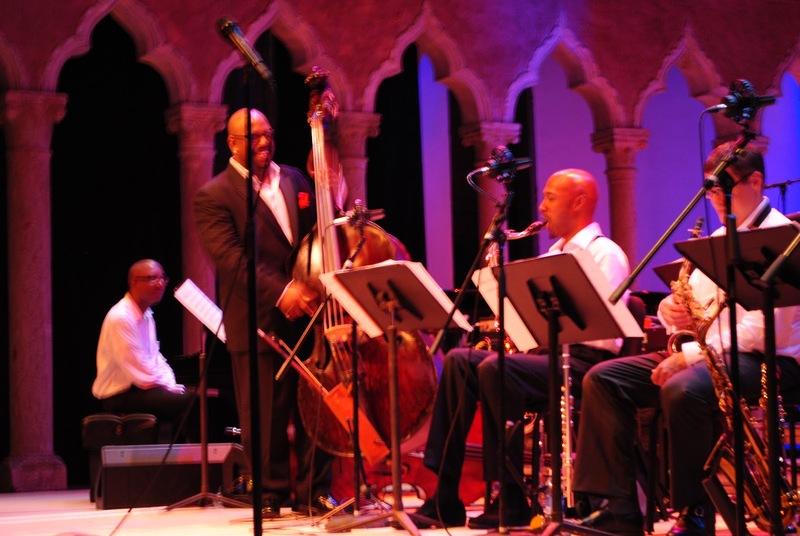 This approach serves to open audiences to the myriad of possibilities within the broad jazz genre. He wisely chose to keep the program diverse without succumbing to the temptation of including artists better known in the areas of pop or rock music. Recently the inclusion of these types of artists on "so-called" jazz venues, has been used by other promoters as a vehicle to sell more tickets at the expense of diluting what one would come to expect from a true jazz festival. The days activities started out at 3:00pm with the Cuban troubadour and guitar player Juan-Carlos Formell. The group consisted of Formell on guitar and vocals, Lewis Kahn on trombone, Ricky Rodriguez on bass, Manuel Valera on piano and a percussionist whose name I didn't catch. They presented a comfortable Latin inspired set of mostly Formell compositions. The singer/guitarist has an appealing stage presence and his music offers a gentle, authethically Latin/island sway to it that is infectious. Formell and company played with relish and managed to nicely warm up the late arriving crowd with their musicality and joyous congeniality. The crowd grew in size as the expectation for the next group started to be felt in the air like the electricity that raises the hair on your skin before a major storm. James Farm is a group of extremely talented musicians whose recent self-titled album is a tour de force. 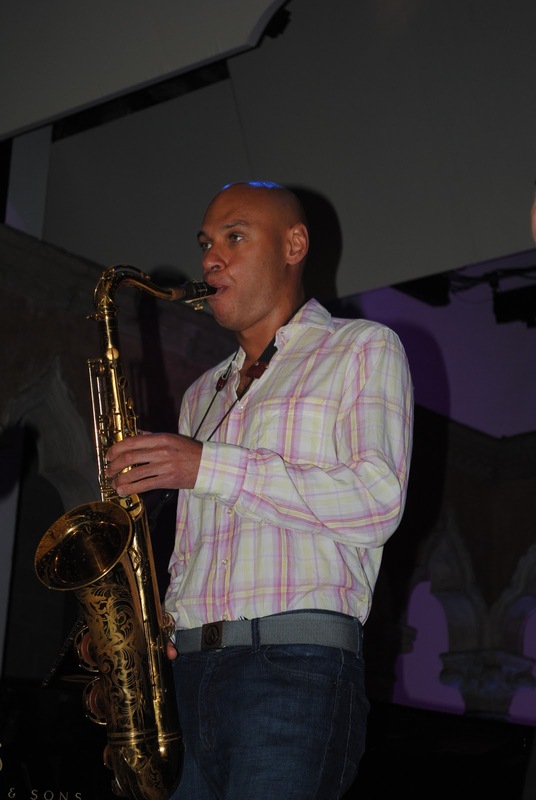 The group is comprised of Joshua Redman on tenor, Aaron Parks on piano, Matt Penman on Bass and the ubiquitous Eric Harland on drums. With such extraordinary musicianship it is little wonder that these guys create compelling music. While some groups seem to star one particular player, James Farm has taken a collective approach that works wonderfully. Each musician is both virtuoso and composer in his own right and they have subdued their own egos for the betterment of the musical message to great success. The set started with the Penman's composition "1981" A rhythmic piece that features a lyrical Parks on piano and Redman's silky tenor. Penman's bass lines drive the piece as Harland demonstrates he is as creative a percussionist as you will see anywhere. They moved into Redman's more jagged composition "If by Air" . Watching Redman on stage you get the felling he absorbs the pulse of the music into his musculature. His lean and elastic body projects a wave of energy that emits from his horn in total mind/body communion. When he solos it is like he is excorcising his thoughts. The group moves into the Aaron Parks introspective composition " Unravel". The moody piece is demonstrative of this group's effort to play as a cohesive unit with no real showcase of individual talent. Penman takes a thoughtful bass solo, but for the most part piano, bass and sax create a unified sound that is delicately complimented by Harland's gossamer mallet and brush work. "Polywog" is an Redman composition that has a fast paced beat that allowed the tenor man to provide one of his most explosive solos of the evening. Park's "Chronos" features an ostinato bass line that allows Redman to explore vestiges of Middle Eastern music on the melody. Parks utilizes sweeping crescendos of sound with his right hand as his left hand relentlessly plays the repeating bass lines. Harland solos with a fusillade of explosive cracks, bombs and crashes. On Parks "Bijou" we are treated to the most melodic song of the evening. Redman is particularly beautiful in his playing reaching the high register for poignancy without any anxiety. The crowd was mesmerized throughout the set. The band left the stage and would make their way to Newport for a show the following evening. If a group can be categorized as all stars than James Farm certainly proved they qualify for this moniker in every category. "Red Clay" was a high light and featured an ripping guitar solo by the creative Nir Felder. Mr. James's lush voice and contemporary sound was fresh and for the most part entertaining. He is a young artist who is to be watched. 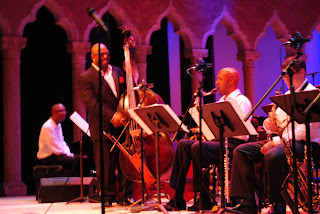 The finale of the evening was the big band of the superlative bassist Christan McBride. 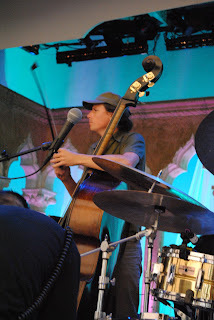 McBride is currently one of the premier bassist of his generation having played with some of the most influential musicians of the last two decades. His joyous approach to the instrument has made him the bassist of choice for many notable artists from Sting to Chick Corea.. Having played at Caramoor last year with Roy Haynes, Chick Corea and Kenny Garrett, he chose this year to use the familiar Caramoor stage to debut his Christian McBride 17 piece big band. For this challenging endeavor McBride was aided by a supporting cast that includes a trumpet section made up of Narate Isles, Frank Greene, Mike Rodriguez and Brandon Lee. His Trombone section includes Mike Dease, Steve Davis, James Burton II and Douglas Purviance. The saxophone section included Ron Blake, Loren Schoenberg, Todd Bashore, Steve Wilson and Carl Maraghi. Xavier Davis is featured on piano, with young Ben Williams seconding on bass and Ulysses Owens Jr. handling drum duties. The band also featured McBride's wife Melissa Walker on vocals. The band played to a now full house as the rain started to pour outside. No one was concerned. The band started the set with "Shake & Bake" and "Broadway" . McBride told the crowd an anecdote about James Brown's penchant for calling people"Brother Mister" which became the name of the next composition. Young Ben Williams was introduced on bass as McBride jumped from his upright to conducting the band. Saxophonist Steve Wilson played a beautiful soprano solo and trumpeter Brandon Lee soared. McBride''s wife Melisa Walker came out to do " When I Fall in Love" . McBride introduced the next song "A Taste of Honey" , made famous by Herb Alpert's Tijuana Brass, to the acknowledgment of the crowd. The next song was titled "Science Fiction" and McBride used a nice arrangement of flutes and bass clarinet in the mix. The bassist played an amazing solo on his upright double bass that was technically brilliant.It was easy to see he has few equals on his instrument. McBride creates a wide and imposing presence on stage, but when he pick ups his bass he is as facile as a wood sprite dancing through a forest. Alto saxophonist Todd Bashore tore it up for a full four minute solo that was a highlight of the evening. The second set included "Blues in the Asphalt City" with a fine trombone solo by Steve Davis and a song dedicated to pianist Cedar Walton " Shade of the Cedar Tree". Singer Melissa Walker sang "The More I Want You" and did a slightly corny duet with hubby McBride on his bass on "Just in Time". The finale was a barn burner titled " In a Hurray" which aptly moved at great neck speed, testing the cohesiveness of the large ensemble. The McBride big band was a hit with the Caramoor audience and it was good to see that competent big bands still have their appeal to astute audiences. 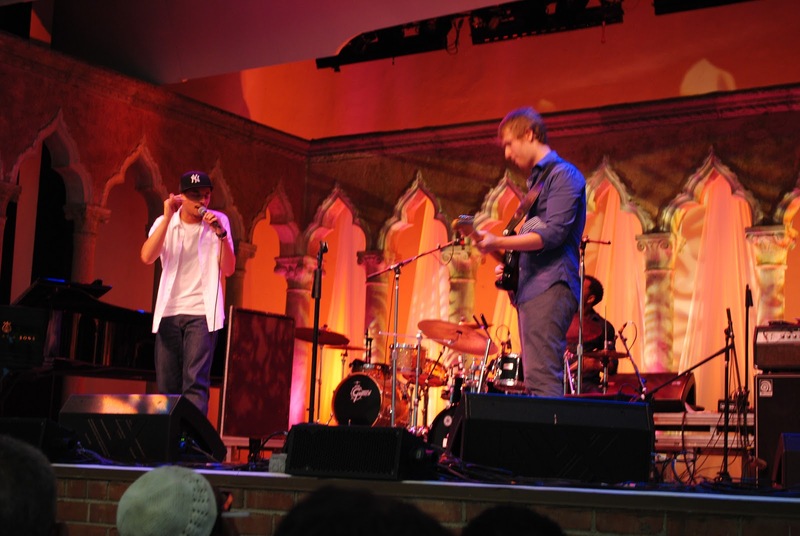 While I was unable to attend the Sunday show, it featured another thrilling line up with artists including guitarist John Scofield, pianist/producer Robert Glasper's group and pianist Jason Moran's Bandwagon. Bravo to impressario Jim Luce for such an incredible line up.The Rosen's would be proud. For those who missed this year's performances may I strongly suggest you plan to attend next year at this wonderful music friendly venue. The Argentinean composer and pianist Guillermo Klein is an enigma. 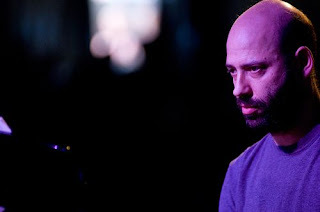 He originally came to Berklee in Boston back in 1990 to study with his contemporaries and then moved to New York from 1993 to 2000 to actually play with them. During his relatively brief stay, his impressive compositions and the arrangements for big bands attracted many of the young, up and coming musicians in the area, like bees to nectar. The Guillermo Klein 17 piece Big Band took Sunday residency at the hip village jazz club Small's. Later the band secured a running gig at the Jazz Standard. As a composer, Klein was able to attract some of the areas finest young musicians. He possesses a unique sense of rhythm and harmony.His music masks complexity with the modulating groove of an undertow. His subtle shadings skillfully utilize classical, folk and contemporary musical influences. Since 1990 Mr. Klein has been living in his native Argentina as well as in Barcelona, Spain. He makes his way to New York occasionally for short gigs at local venues like the Village Vanguard or the Jazz Standard, where he is able to assemble an awesome array of musicians who are anxious to perform with him. Chris Cheek are also featured on several songs. The short opening cut finds Mr. Goldberg playing an interesting intro before breaking into a straight ahead trio fromat with Penman and Harland on the Jerome Kern standard “ All the Things You Are”. 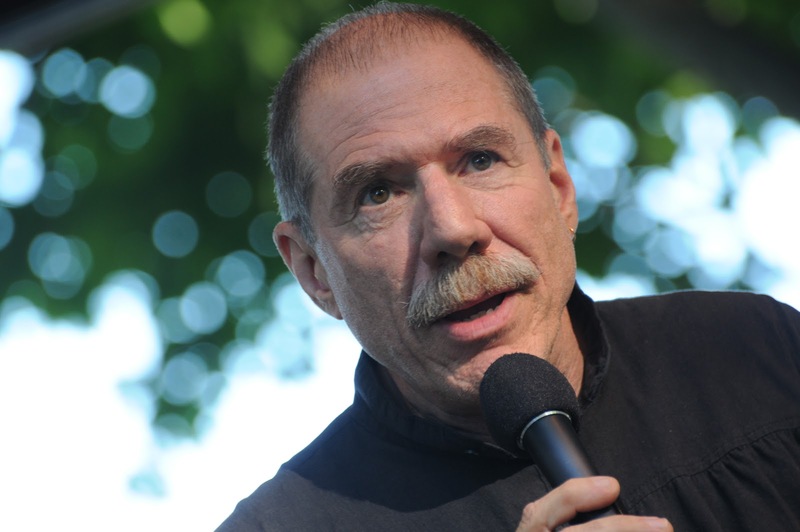 Goldberg's familiarity with the song and its tradition is apparent . “Implacable”, the first of several Klein compositions on the album, starts with an ostinato on Rhodes piano by Mr. Klein. A playful duel between he and Mr. Goldberg on piano incorporates elements of techno crossing into a classical fugue, all played over Klein's relentlessly modulating rythmic core line. On Charlie Parker’s “ Moose the Mooche” we are treated to the superb alto of Miguel Zenon who navigates the constantly changing time signatures of the song brilliantly. Goldberg’s piano is equally adept at the quirky bobs and weaves, but it is the amazing duo of Harland and Penman that are the real treat here. The two make the chicane of time changes appear to be an effortless walk through the park. This is a stellar modernized version of the Parker classic that could only be executed by master musicians. Klein’s pensive “Burrito” is a beautifully conceived tune that seems to float along on the chime-like sounds of Klien’s Rhodes piano.Goldberg’s sensitive acoustic piano musings evoke a feeling of unfulfilled emotional yearning. Perhaps the most challenging composition on the album is Klein’s “Human Feel”. Klein builds tremendous kinetics with his unique arrangements and clever use of instrumentation. Drummer Harland compliments the music brilliantly while propelling the piece forward. Chris Cheek and Miguel Zenon intertwine their saxophone parts in a harmonious cacophony of sound that sails on top of Klein’s Rhodes and Penman’s bass. The piece somehow retains an inherrent organic order, despite feeling a bit like an attack of cardiac arrythmia. “Anita” is another Klein composition that features Zenon and Cheek playing in beautiful harmony.Klein seems content to settle into mostly chordal work on his Rhodes leaving the more intricate piano solo work to Goldberg, who is a wellspring of ideas. Another Charlie Parker tune “Blues for Alice”, features a wonderful lead-in bass solo by Matt Penman. Goldberg’s piano searchingly climbs up the keyboard as Harland creates unerring interest with his bag full of percussive techniques. Miguel Zenon’s alto solo is a high light of the album; wonderfully buoyant, tonally clean and truly Parkersque in its fluidity. Klein offers two version of the standard “Manha de Carnaval”. The first features some beautifully sensitive and poignant piano by Goldberg, as well as a moving bass solo by Penman. The second version is a considerably more upbeat one with Harland and Penman offering a more rhythmic bossa beat that provides Goldberg the chance get into a groove and to play more aggressively. Harland is given a chance to demonstrate why he is one of the premier drummers on the scene today as he finds a myriad of sounds just using his sticks. “Airport Fugue” is another Klein original, this one a duet with Goldberg on piano. Klein's playing has a hypnotic floating quality. Klein’s “Yellow Roses” is airy, romantic ballad. Penman’s plucky, warm toned bass leads into a gorgeous Goldberg piano solo that follows the oscillating line of the melody. Chris Cheek’s silky soprano saxophone has the lightness of a butterfly in flight. One can almost hear the influence of the group Oregon in this piece with Cheek 's soprano evoking the etheraeal sound of Paul McCandless here. 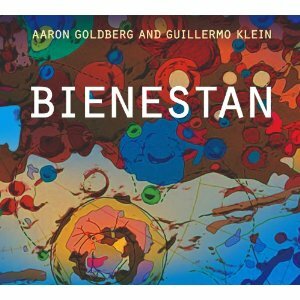 “Impressions De Bienestan” starts out with the combined sounds of Goldberg’s piano and Penman’s bass creating a cinematic feel. Klein skillfully employs the sounds of his band's instruments, combining his Rhodes piano with Penman’s yearning bass lines to create suspense and intrigue. Harland adds deft accents to the mix. The group creates an aural picture of a rather eerie place, Beinestan,that could easily be a town in a Rod Serling vinette. The finale is a completely different and hauntingly interesting take on the opening tune titled “Amtrak/ All the Things You Saw”. This unusual version of the well-worn classic is a little gem. Harland creates tick-tock metronomic time of a waiting train. Goldberg ultimately plays the memorable melody line as a solo. He pars it down to its bare essentials. Klein's arrangement somehow lingers in a way that manages to convince you that while this is familiar territory you have never really been here before. This group will be playing Wednesday through Sunday August 17th through 21st at the Jazz Standard in NYC , so go out and support great "live" music. Aaron Goldberg, piano; Guillermo Klein, Fender Rhodes; Matt Penman, Acoustic Bass; Eric Harland, Drums; Miguel Zenon, alto saxophone ( tracks 3,5,6,7 & 11); Chris Cheek, tenor saxophone (tracks 5 & 6) soprano saxophone (track 11).